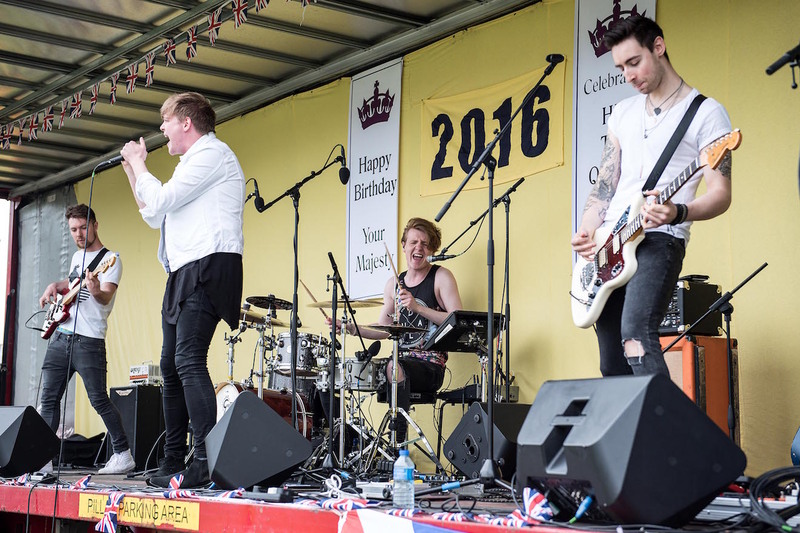 Some of the most popular and successful entertainment acts in the region will be performing at this year’s Peasedown Party in the Park summer festival on Saturday 9th June. Since last September bands have been applying to perform – meaning that the full stage line-up was already complete by February. Party in the Park sets aside a budget of over £1,000 each year to cover the costs of expenses, PA technical support, and payments to the Performing Rights Society so copyright infringement is not breached. Local housing association Curo provided a huge financial boost for Party in the Park 10, which has meant organisers have been able to cover all of the event’s costs. Party in the Park is expected to see over 2,500 people come through its gates on June 9th. Pete presents ‘Dance Valley’ on Somer Valley FM on Friday night’s. A regular at Peasedown Party in the Park, it’s great to have him back with us this year. He’ll be with us throughout the day. A brass band representing the City of Bath. The band plays at many different events in and around the city, including summer concerts in the local parks and gardens, and performances in local churches and community halls. They compete in national and regional brass band contests and are currently in the third section of the West of England region. A four-piece band that started 7 years ago, which originally started as an out and out classic rock / modern rock band but over the years now has diversified their set to accommodate any audiences from pub/clubs to parties and weddings. This band love to play live music the way it should be – no miming, backing tracks, auto tuners or gimmicks! They all love music and live by two rules: 1 – Keep it Real and 2 – Keep it Live. This punk/indy/classic rock band hail from Weston-super-Mare and come with huge positive reviews from across Somerset. Their natural style will get everyone on their feet at Party in the Park 10. Founded in 2001, Jamie Woodland aims to teach martial arts to everyone regardless of age, gender or physical ability. There are no politics, egos or bad attitudes at the academy, they pride themselves on being a friendly, welcoming centre of excellence open to people from beginner to those who already train from any style or association. Boogie Bounce is a proven keep fit programme, designed for a mini trampoline, which provides an all over body workout and is choreographed to funky music. A popular eleven-piece band from Midsomer Norton. They’ve become a hit in the space of just a few short years, and certainly know how to get a party going! The extremely successful Susan Hill School of Dancing was established in 1982. The dance school and studios are based in Radstock, seven miles south of Bath and classes are held in purpose built, mirrored studios in both Fortescue Road and Victoria Hall Radstock. “Our Goal at Bath All Starz Cheerleading is to provide a friendly and safe environment in which our cheerleaders can grow with positive encouragement and support. We believe in the importance of hard work and dedication and the role that each cheerleader plays in the success of the team.” The award-winning, Peasedown-based ‘Bath All Starz’ are at Party in the Park 10 by popular demand! This is a not to be missed performance with lots of talent. Party in the Park 10 officially starts at 12 noon on Saturday 9th June on Beacon Field. With festivities on the field running until 7 pm it includes Rose’s Yummie Licious Cakes, Disney Pops Delight, The Red Post Beer Tent, Birds of Prey and Reptiles, ‘Funding Animal Futures’ Dog Show, tin-can alley, Hair Braids and Facepainting, Great Western Air Ambulance, Avon Fire and Rescue, Avon Wildlife and a classic Bedford RL 1957. This year’s sponsors are the St J’s Group, Bath Audi, Care South, Curo and Peasedown St John Parish Council. The Official Event Partner is the Somer Valley Foodbank. The event also features the ‘Party in the Park Grant Giveaway’, 7 hours of live music and entertainment, the Sara Holley Community Award, Peasedown’s 2nd Annual Official Push Kart Race, a Dog Show and Somer Valley FM broadcasting live. For more details follow the event on Twitter: @peasedown_party, or go to the event’s Facebook page.